There are a ton of things to think about and plan for when you are pregnant. Maternity photography might be one of those things that you are considering adding to your list! We had the awesome opportunity to sit down and interview an amazing local maternity and newborn photographer, Beth-Ann Lugar with Owens-Lugar Photography. Read the Q&A below to learn everything you need to know about maternity photography with bonus information about birth and newborn photography! 1. When should people start researching local maternity photographers and when is the ideal time to book a session? The best time to reach out to schedule a maternity session is anytime after your due date has been established, but typically during your second trimester. This gives both the photographer and the expectant mama time to plan a location, an overall look for the session, and order any maternity gowns or clothing to be used during the session. Between 32-35 weeks of pregnancy is an ideal time to capture a full baby bump, and when mom may feel most comfortable. 2. What should people look for in a maternity photographer? When selecting a maternity photographer, it is best to choose someone whose photographic style you adore, and a professional who also specializes in maternity, birth, or newborn photography. If ever there is a time to entrust yourself to the hands of a professional photographer, it is during this time. Professional maternity photography is more than a few shots taken on a whim for Instagram. It is working with someone who understands that certain poses will photograph better than others, that lighting is key, and someone whose experience in maternity portraiture will help you look as amazing on the outside as you hopefully feel on the inside. 3. What are the different options for maternity photography (styles; locations; etc.)? There are so many fun styles of maternity photography! Location choice can set the mood for a fun, urban feel downtown, a country setting can bring a rustic, relaxed vibe to the session, or expectant mothers can look elegantly stunning in a clean studio set up. Explore location ideas that will set the tone of your session according to the overall desired look. Check out parks, downtown architecture, college campuses, or arboretums. There are so many great options! 4. How should someone prepare for their maternity session? Because this session is about showcasing your beauty and glow, take this moment to treat yourself to a little extra self-care! It's amazing how a hair and makeup appointment prior to the session will give your spirit a lift, boost your confidence, and pull together your look almost as much as selecting the perfect outfit. A fresh manicure and pedicure may be just the thing to help you feel relaxed, and beautiful during your session! 5.What should someone wear for their maternity session? There are so many options that are available for today’s mother-to-be: open and flowing or crisp and modern. Select looks that show your belly, and give it the definition it deserves. Try a tank, camisole or a long flowy sweater that opens just above your belly bump. You can’t go wrong with jeans and your favorite top - but look for options that include a form-fitting blend so that they remain crisp and form flattering. For jeans and pants, try for “under the belly” - it will photograph better than a full maternity panel. And there are amazing maternity gowns that can make any mama feel absolutely stunning. Check with your photographer, or do a search online for one that fits your style. The most important thing is that you wear something that you feel confident and beautiful in. 6. Can the whole family be included? Absolutely! It is a joyous moment to capture the family's enthusiasm and anticipation of the newest little love, and that can include siblings of the two or four-legged variety! This is an exciting time for your entire family! It is so important to remember this moment with both individual and family images to tell your entire story! 7. 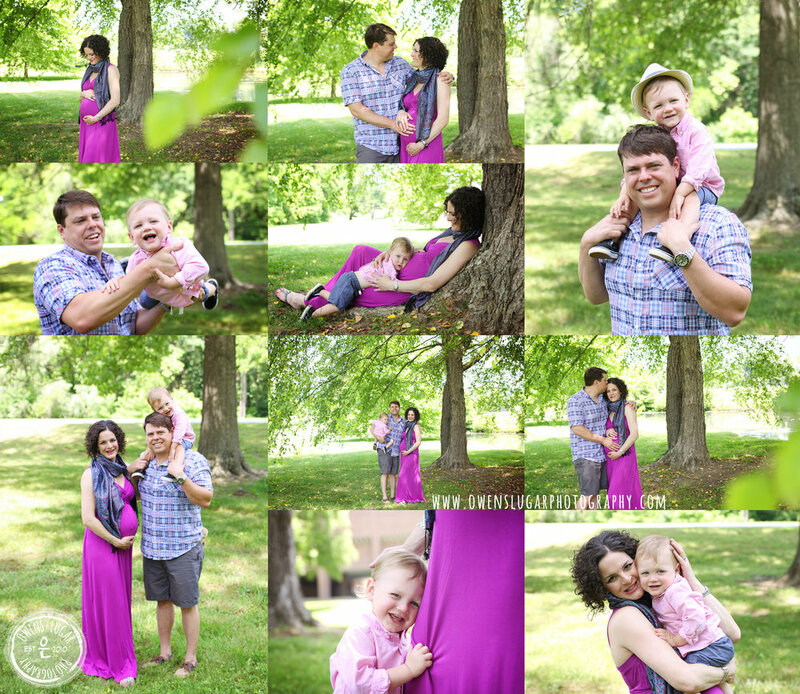 Why should someone consider having a maternity session? To some, the idea of maternity photography is as exciting as the idea of having a baby itself, as you are captivated by the glow and radiance that pregnancy has bestowed upon you. To others, it is a questionable one, as your body has transformed to a place you might not have imaged it ever going. However you may feel, each pregnancy will deliver you an experience (and a baby!) that is unique to this world. This is the beginning of a new life growing inside you! That deserves to be captured. And although those nine months may feel like an eternity, it really is just a quick moment in time. Feeling super camera shy? Consider having a session just for yourself to admire, or for your children to cherish when they are older. Just remember, you can't go back and do it later should you change your mind! Continue documenting your baby's arrival with birth or newborn photography. Capturing your new love within the first two weeks after birth is meaningful way to document this moment. Most of that initial time home is a blur, and your baby will grow and change faster than anticipated that first year! 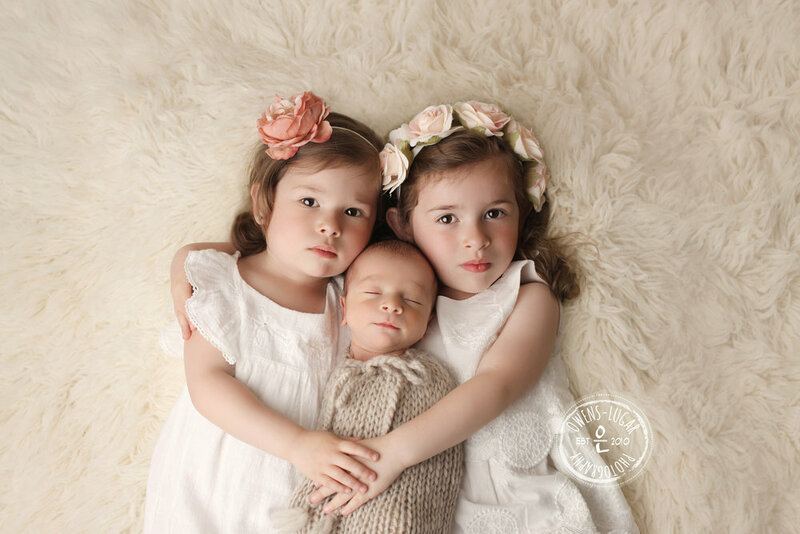 Freeze time with keepsake images when your newborn is still teeny and curled. It is best to schedule these portraits while you are still pregnant to reserve your newborn session. These are moments you will treasure for years to come!